Pictured is the Regency Hotel where David Byrne was killed in February last year. KEVIN MURRAY, WHO’S thought to have been involved in the Regency Hotel shooting in February 2016, died last night after a long illness. The 47-year-old father of two “passed away quietly” at his home in Strabane Co Tyrone, according to parish priest Reverend Declan Boland. Murray, who’s also known as Flat Cap, suffered from motor neuron disease, which progressed until he was left paralysed from the neck down. He had spent time at a hospice before returning home for his final days. It was due to his illness that a court refused to extradite Murray to the Republic in May of this year, despite gardaí saying he could be identified on the CCTV footage of the Regency shooting. It had been argued in court that Murray didn’t have long left to live; the judge ruled that “the only appropriate course I can take is to discharge” Murray, according to the Belfast Telegraph. The 2016 shooting, where Kinahan cartel member David Byrne was shot and killed while attending a boxing weigh-in, sparked a series of gangland-related killings between the Hutches and Kinahans. Murray’s daughter and son, as well as his parents, sister and three brothers were at his bedside. His funeral will be held in the Church of the Immaculate Conception in Strabane this Saturday morning. 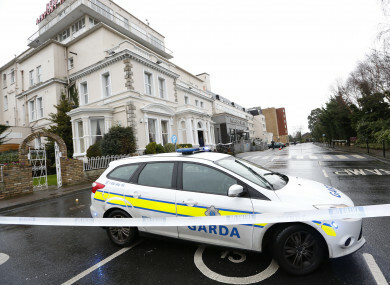 Email “Man connected to Regency Hotel shooting dies at home after terminal illness”. Feedback on “Man connected to Regency Hotel shooting dies at home after terminal illness”.